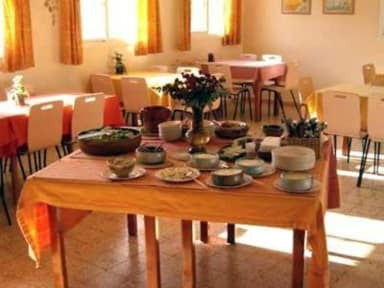 Our guests enjoy 18 air conditioned rooms, and a delicious wholesome vegetarian breakfast served in the kibbutz's homey dining room. 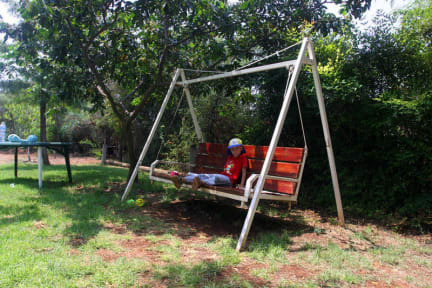 Inbar's location provides quick and easy access to a variety of recreational activities. Our location is also central to famous Christian pilgrimage sights, among them Nazareth, the Sea of Galilee, the Mt. of Beatitudes and Capernahum. off season middle weekdays 3 days. Late cancellation or no shows will result on your credit card for the amount of the first night. all weekends 14 days. Late cancellation or no shows will result on your credit card for the amount of the first night. Israeli national holidays and August 30 days. Late cancellation or no shows will result on your credit card for 100% of the reservation.